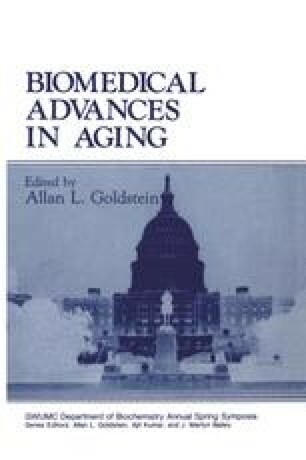 It is well known that the incidence of certain diseases such as infections (Gardner, 1980), atherosclerosis (Stout, 1987), diabetes mellitus (DeFronzo, 1981), and tumors (Doll et al., 1970) is increased with aging. It can be assumed that the cause of this increased incidence is multifactorial, but the decrease of the immune response certainly plays an important role (Makinodan and Kay, 1980; Corberand et al., 1981). It was established that the oxidative burst plays an essential role in the host defense against pathogens and other microorganisms (Johnston et al., 1976; Babior and Crowley, 1983); therefore, an alteration of the respiratory burst could contribute to the increased incidence of infectious diseases with aging.